More than just an underwater experience, SEA LIFE Bangkok Ocean World is home to a range of special activities. The choice is yours -enjoyment and wonder await at every depth of the sea. And you will be impressed with the variety of ocean adventures we have to offer! Come and experience the ultimate entertainment technology in 4D movies. These shows aren't just audio and visual, they appeal to all the senses! They are sure to provide you with exhilaration like never before! 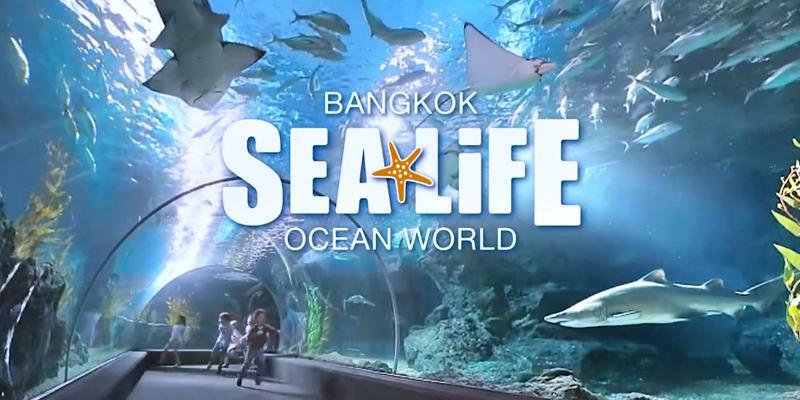 Go behind-the-scenes and explore the secrets of SEA LIFE Bangkok Ocean World. You will have an opportunity to check out the "Aquatic Quarantine and Nursery Centre" as well as the water quality monitoring laboratory. Furthermore, come get a chance to go hands-on with the real-world ocean exploration equipment. Be intrigued as you uncover the mysteries of this in-depth experience. SEA LIFE Bangkok Ocean World is one of the world's largest aquariums. We suggest visitors allow at least 90 minutes to spend in our attractions. It's suggested you enter no later than 7.30 pm. SEA LIFE Bangkok Ocean World has its own restaurant and souvenir shop. SEA LIFE Bangkok Ocean World is located in the heart of Bangkok, within Siam Paragon shopping centre, conveniently situated next to the BTS Siam Station.